The kitchen isn’t just a place to cook and eat; it’s the beating heart of any home. This is where family and friends congregate during any social event, where midnight-snack discussions take place, homework gets done, and major decisions are made. That’s why about a quarter of all interior home improvement projects last year were kitchen remodels. There are countless good reasons why you might want to give your kitchen a makeover. Here are the most common five. Kitchens that haven’t been updated for a while tend to accumulate a lot of idiosyncrasies. These may include cabinet doors that have to be kept closed with putty, awkward configurations that won’t allow you to open the refrigerator door if a certain drawer is open, or so little countertop space that you have to place the dish drainer in the sink itself. Also, kitchen materials deteriorate no matter how tough they seem when first installed. If the linoleum is curling away from the floorboards, the Formica countertops are scratched and chipped, and the cabinets are painted pink from the Eisenhower era, you may want to consider a makeover. If your refrigerator dates from the 1950s, it might look funky and retro, but it takes a tremendous amount of electricity to run it. In fact, kitchens are just chock full of energy-sucking appliances, including microwaves, ovens, stoves, hoods, and dishwashers. If these appliances are over 25 years old, they won’t be stamped with the EPA’s Energy Star seal. And should one of those vintage appliances break, the cost of repair is high and parts can be hard to find. If you’re concerned about costs to your wallet and to the environment, renovating a vintage kitchen offers lots of ways to update to energy- and water-saving appliances and ecologically-smart materials. If you’re raising a growing family, your household needs are changing. More people in the house means you need more seating space, countertop space, oven or burner options, a larger refrigerator, and even more cabinet and pantry space. Or perhaps you’ve bought the house from a large family but you’d prefer a gourmet kitchen geared toward parties, with more counter space, a rack for hanging pots, a warming drawer, a dedicated wine refrigerator, and plenty of cafe chairs for guests to watch you dice and chop. If your kitchen doesn’t fit your lifestyle, a remodel can remake it into the kitchen of your dreams. Yes, those cherry wood cabinets are dark and elegant, as are the Tuscan tiles of the backsplash, but if you prefer bright sun, white cabinets, subway tiles, and shimmering stainless steel surfaces, then you may cringe every time you enter your dark and gloomy kitchen. Since you’ll be spending a good portion of your life in that room, make sure it fits your aesthetics. Though it depends on where you live, how much you’ve invested, the details of your renovation, and when you sell, homeowners who renovate their kitchens can often see up to 90% of the cost added onto their home value when it’s done. You’ll also land a sale more quickly, as buyers are picky about kitchens and will almost always choose a home that’s remodeled over one that needs a whole lot of updating. 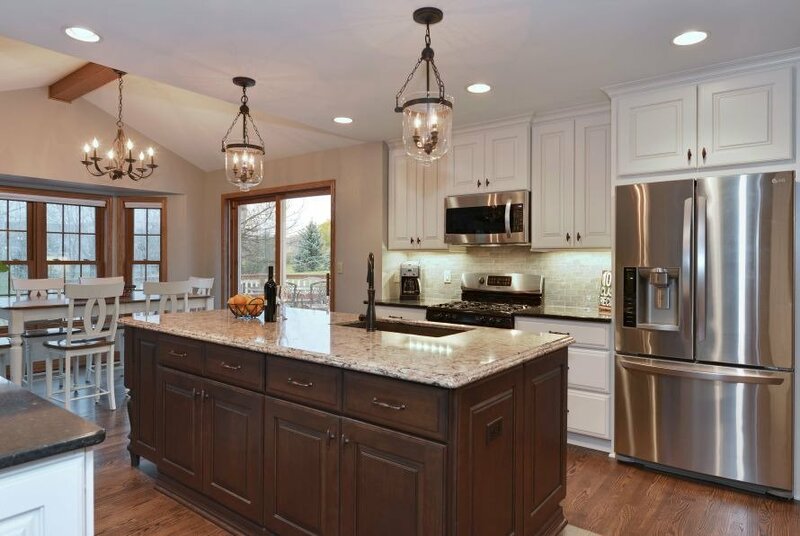 Whatever your reason for remodeling your kitchen, here at Kowalske Kitchen & Bath we’ve got over thirty years of experience working with local homeowners to renew, refresh, and renovate their kitchens. Ready to discuss designs and options? Call us today for a consultation. I’m glad you pointed out that you should get your kitchen remodeled if your kitchen is currently filled with inconveniences, like not being able to open a cabinet while the refrigerator door is open. The current configuration of my kitchen is pretty awkward, and whenever there’s more than one person cooking it tends to get pretty difficult. I’d love to have a more convenient layout, so I think I’ll talk to my husband about the idea of having our kitchen remodeled! If a good kitchen remodeling service removes idiosyncracies and inconveniences as you mentioned, I might be able to save my sanity while I work in the kitchen. I do think that being able to increase energy and water savings as you listed is something that comes as an effect because remodeling will increase the kitchen’s functionality. Since a good remodel will allow me to upgrade to fit my personal style as you stated, a good expert remodeler can help me achieve the kitchen I always wanted.